I was in a new business meeting recently and as we were trying to determine the pain points of a prospective client, it became clear they actually had very few concerns. Minimal or no competition, one big client and a list of potential customers— to them the future looked great with little or no need for branding or marketing. Branding was simply not a big deal to this prospect, as is the case with many B2B businesses perhaps not for the same reasons, but still, it is not high on the list of business-critical initiatives. But should it be? The problem is, many see branding as squishy emotionalism that is more effective in differentiating consumer products than drier, statistical, fact-driven B2B marketing. 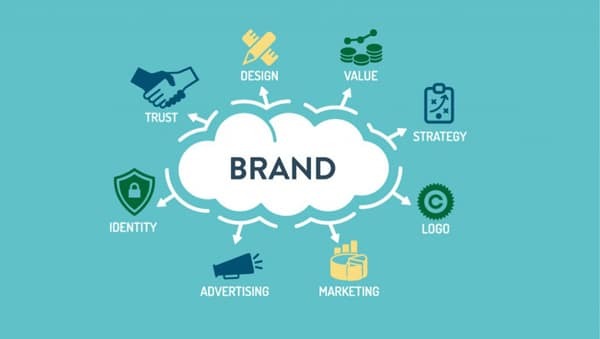 At BrandDirections, we define a brand as a collection of associations in the mind of your customer when connecting with your product or organization. Branding matters: There is an emotional element in every purchase because companies don’t buy equipment or services from other companies, people do. People want the assurance of knowing they are engaged with a company that has its act together. A strong brand is reflective of a strong organization with strong business leadership because leadership is part of the brand. A strong brand survives, thrives and provides continuity even if a strong personality is separated from the company—Steve Jobs and Apple comes to mind as an example of brand development keeping it the strong brand it is today. Branding transcends the sales process: You will typically find sales-driven organizations (versus marketing-driven organizations) won’t invest in their brand, believing branding does not help in a long, complex and consultative B2B sales cycle. But remember that by definition a brand is built on the overall experience your customer has with your company, and in reality, the sales process helps build a strong foundation for the B2B brand experience. Sustained exposure to consistent, value-focused brand messaging throughout the sales cycle sets and solidifies a positive brand image in the consumer’s mind, distinguishing your brand from the competition. Branding means money: It is a known fact strong brands in the consumer market are able to command a higher price for their goods. Also true in the B2B world. Who would not want the added confidence that you can command a higher price in the sales process because of your brand name and reputation? Branding adds stability in a shifting market: Remember the situation at the beginning of this post? The prospective client may think they are in a sweet spot without building brand awareness, but what happens if their world goes through a catastrophic change? Perhaps their biggest customer may decide to buy their competitor and make their own product in-house—which believe it or not has happened. Without an established brand in the marketplace, you lose valuable time scrambling to re-establish your position in a changing market. Better to adapt to market changes from a position of brand strength. Hopefully, this has given you food for thought for the next time the discussion turns to branding your B2B business. If you have brand questions or need help putting a branding strategy together, please contact us at info@brand-directions.com or 920-886-7727. Great article and so true that many B2B companies don’t see the value in investing in defining and nurturing their brand. Letting the market define and control your brand is dangerous.